While I'm relaxing on the warm (fingers crossed) and sunny beach in Gulf Shores Alabama. I've wrangled up some of my favorite ladies to keep you entertained. Maybe you already know them and follow, and maybe you will find a new blog to add to your reader. Today's guest Is Stephanie from Furniture Flippin'! Oh the pressure! The pressure is getting to me. I have a fondness for my former fellow Illinois Valley dweller Trina and when she put out a call for Guest Bloggers I volunteered. Now, here it is one week before her deadline and I don't know what to write! 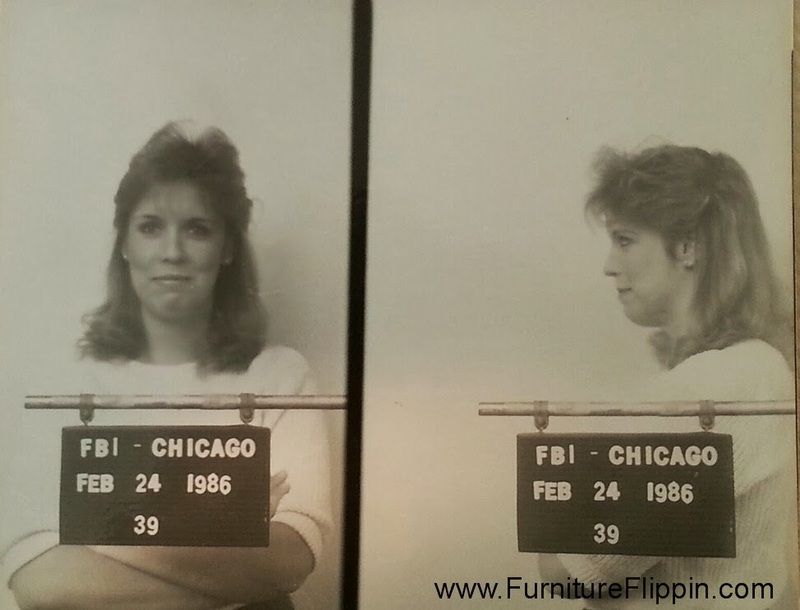 Do I confess to you the real reason behind my blog Furniture Flippin'? Do I tell you why my firstborn blog The Hardscrabble Home has been sitting idle for almost a year? Do I admit that I am hooked on Sons Of Anarchy, The Walking Dead and more recently, Bates Motel? AND, that my son now calls me Norma? Or do I share with you news of my on the way very first grandchild and the panic that is ensuing because I don't know how to knit or crochet and I think that's a requirement for becoming a grandmother? Sigh. I suppose I should start with The Hardscrabble Home. I wanted a creative outlet. I have always loved to write and thought that a blog would be the ideal thing to tackle since the book on my life (Yes, MY life - even ordinary people can have interesting lives) has sat untouched for 12 years. I began The Hardscrabble Home and then realized "THIS IS A LOT OF WORK!". I can't come up with recipes and tips and projects on a regular basis. 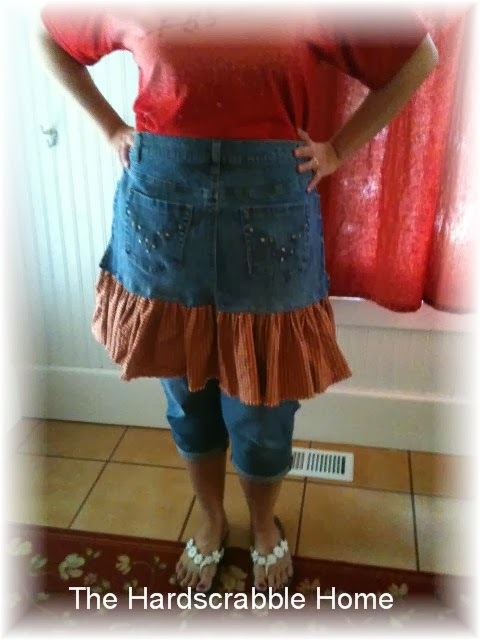 I mean, how many aprons out of blue jeans can one person produce? However, along the way with that blog I got serious about repurposing furniture. Two of my favorite flips are the Dumpster Dresser and the Triple Rocker. So, that's what I did. In starting Furniture Flippin' I've met some talented and awesome people. Trina being one of them. On to Sons Of Anarchy. I binge watched Seasons 1 - 6 this winter with my husband during Snowmageddon. I got so into it I referred to myself as my husband's old lady and whenever anything happened I would say, "This better not blow back on me!" Also, every time a Harley roared by the house I looked out the window hoping to catch a glimpse of Jax. As for The Walking Dead - if you are a fan of the show, here is what you need to know. I have an RV, I have a plan in place and on the weekends my husband, son & I try and scare each other in an effort to thwart any tendency to scream. It's imperative that you are quiet and do not startle easily during a Zombie apocalypse. I have to say I have become quite skilled at exiting the bathroom without making a sound and I never jump when someone leaps out at me from behind the door. Stick with me. Even if you don't possess the skill set that we do, we can always use Trippers to buy us time in case a herd of Walkers come along. Think of it as taking one for the team. Bates Motel is a series we just recently started watching. We rarely watch TV no matter what this blog post suggests but when you are stuck inside by a horrible Illinois winter your options are limited. 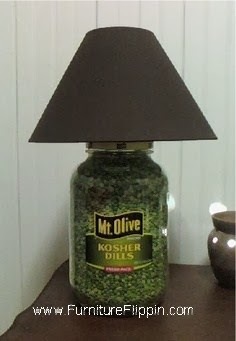 You can only eat so many pickles and make so many pickle jar lamps. I held off on watching this show because I was afraid it would be creepy. Instead it's more campy and the mother Norma cracks me up. Finally, knitting and crocheting. Do any of you knit or crochet? Can I Youtube that and learn? I doubt it. I'll just wait until the weather warms up and get busy on flipping the furniture for my first grandchild's nursery. We find out this month whether it's a boy or girl. I can't wait. A boy's name has been picked out but they are still looking for a girl's name. The middle name will be Jo after my daughter and me. If you have any suggestions, let me know. So, there you have it. I fretted over nothing. I accomplished my first guest blog post. I'd love it if you visited me on Furniture Flippin'. Tell you what. You can start by checking out the feature I did on Trina and her amazing bathroom vanity. Once you are done, if you have a flip of your own, feel free to email it to me. I'd love to see it. HEY ALSO... Have you entered our Giveaway yet from Teak Closeouts? 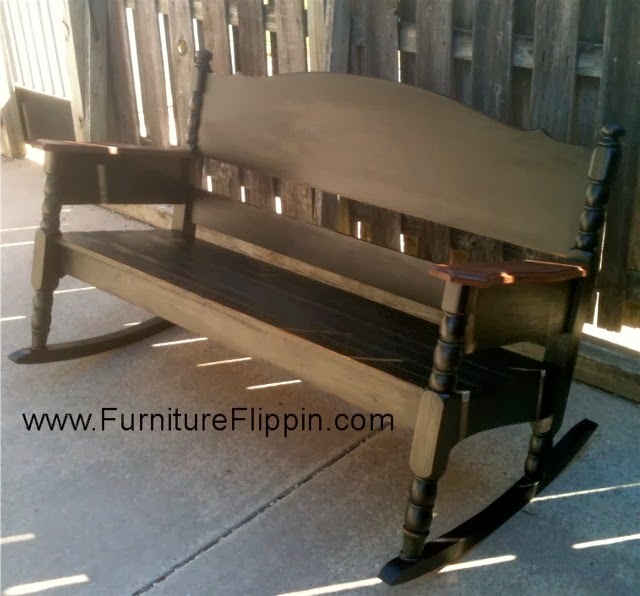 I know you want to win this bench. So hop to it! Enter here.